It’s a testament to the popularity of Mill Creek Village that, out of the 87 townhomes that make up the Kitchener project, only four are still available. 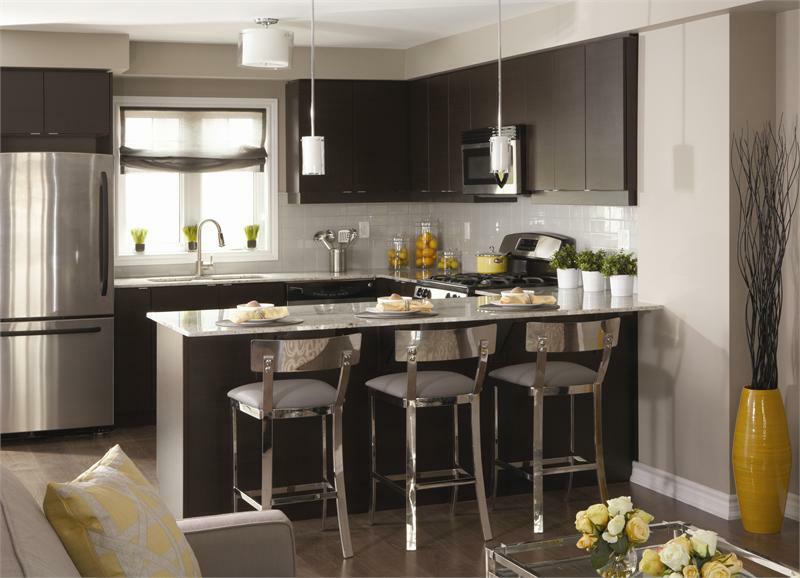 Located at 701 Homer Watson Blvd., the Dunsire Developments enclave is home to thoughtfully designed floor plans that will accommodate the needs of everyone from first-time buyers to down-sizers hoping to have a hassle-free home. Need a better sense of the interior options? The kitchens will feature highly functional features such as large double stainless steel sinks and custom made cabinetry. Plus granite and quartz countertops will make the space look sleek and elegant. The bathrooms will come equipped with premium china sinks and pedestals and imported ceramic tiles. Some plans even feature frameless glass showers too. The surrounding area is home to acres and acres of green space, including the Steckle Woods, Budd Park, Homer Watson Park as well as conservation lands around the Grand River. The biking and walking paths are not to be missed – there are 80 kilometres of inter-urban trails to enjoy, leading all the way from Cambridge to Hamilton. Another bonus of buying at Mill Creek Village? The project is already under construction and residents can move in this year! Be sure to check out the last remaining residences sooner rather than later. Located onsite, the sales centre is open weekends from noon to 5 pm or week days by appointment. Sales for units start at $242,898. For more information contact 1 888 519 2346 x 210 or info@dunsire.com.